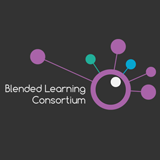 Planet eStream are delighted to be supporting this years Blended Learning Conference. 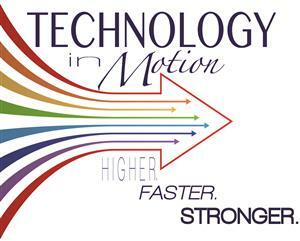 This is a one day conference focussing on best practice and the use of technology to enhance the learning experience. The Planet eStream team will be on hand throughout the event to discuss digital media strategies and provide product demonstrations, including how you can access your BLC subscription content via Planet eStream Connect. We are delighted to be attending this years Scottish Learning Festival. The conference, organised by Education Scotland, is the annual event for teachers and educationalists. The Planet eStream team are thrilled to be supporting this year’s King Edward VI School ICT Conference. Product Development Director - Andrew Milburn - will also be running a workshop on image management. 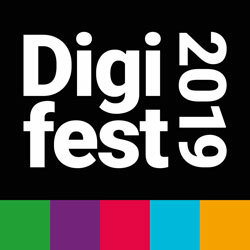 We are delighted to once again be attending Digifest. The team will be on hand to talk all things digital media strategy and demonstrate Planet eStream’s impressive feature set, including our recently announced Image Module. Another January, Another Bett Show! 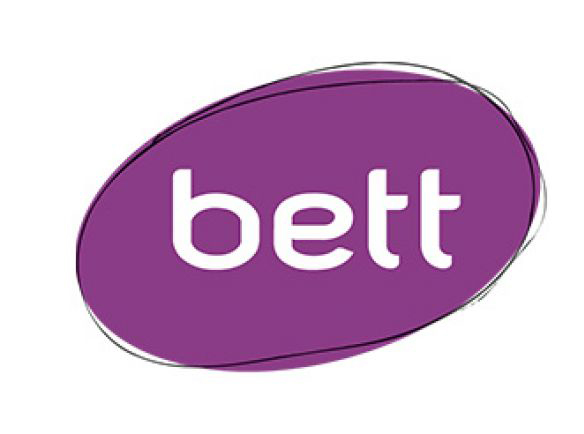 We will once again be exhibiting at the Bett Show at the Excel in London. The Bett show has always been a fantastic event for us, and we would be delighted to meet you there and demonstrate how Planet eStream can form a central part of your core digital media strategy. The Planet eStream team will be on hand to discuss your requirements, provide face-to-face product demonstrations and, for those that are already using Planet eStream, discuss our new developments and features. 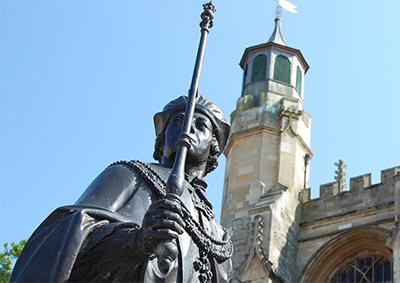 We are looking forward to attending the upcoming iSAMS User Day hosted by King Edward VI School in Southampton, a long-standing Planet eStream customer. Tom from Planet eStream is presenting at the event and will be on hand answer any of your questions. 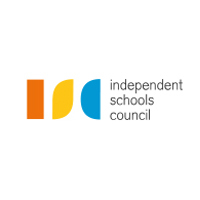 We are looking forward to attending the upcoming Independent School Council's Digital Strategy Group Conference. We will be running the official live stream for the conference and members of our team will be on hand to demonstrate our platform and discuss how Planet eStream can support your digital media strategy! 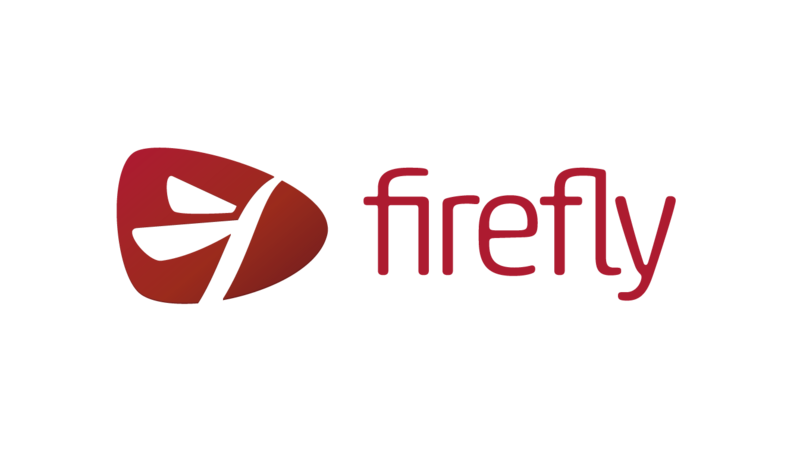 We are once again delighted to be supporting this year’s Firefly Learning Roadshow events in November. If you are planning on attending either of the events, our team will be on hand to demonstrate how Planet eStream can assist with your core digital strategy. Please note that these events require registration and are organised by Firefly - if you would like to attend one of these events, registration details can be found below. After the success of last year’s Summer Institute, we are delighted to be visiting Tennessee again. Andrew and Tom will be on hand throughout the show to demonstrate how Planet eStream assists in driving digital transformation. Planet eStream are looking forward to supporting the ICT conference organised by Eton College. The event will take place at Dorney Lake and the broad focus of the day will be the use of technology in education. Andrew Milburn of Planet eStream will be attending the event and hosting one of the round table discussions. 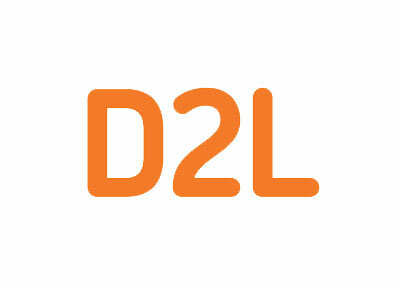 Planet eStream are pleased to be attending and presenting at the D2L Connection event in London. This event will showcase teaching and learning within Brightspace and sessions will feature topics such as effective practices in instructional design, technology integration, and administrative management. It’s a great opportunity to exchange new ideas with the community and learn more about Planet eStream and how it can support D2L clients in enhancing their digital learning provision within Brightspace. This event is sponsored by D2L in partnership with the High Commission of Canada to the UK. We are delighted to be supporting the Firefly Learning Expo at IET London; the day looks to explore the evolving teaching and learning landscape. Keynote speakers include Ed Balls, Dame Kelly Holmes, Richard Gerver, Felicity Ward and Suli Breaks. 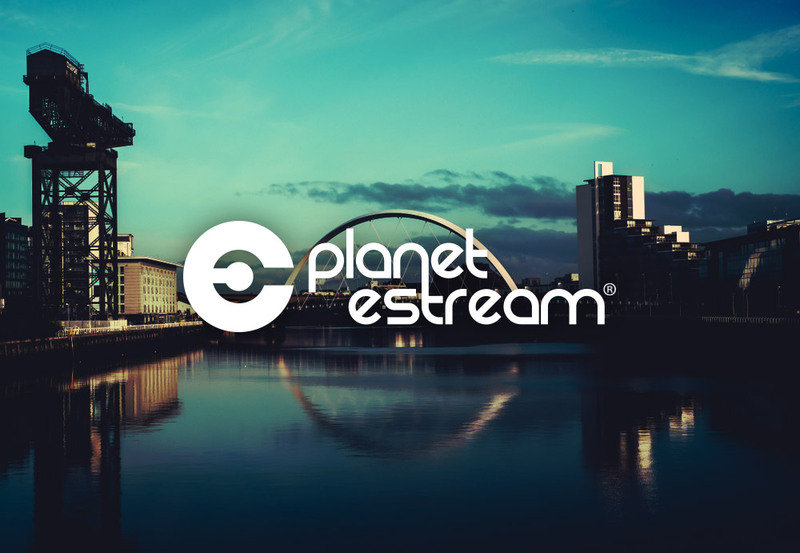 Members of the Planet eStream team will be on hand throughout the day to discuss all things eStream, including our recently updated FireFly plugin with direct access to the Planet eStream eStream Connect archive and TV scheduler. 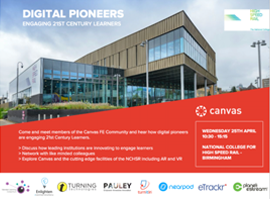 Planet eStream are delighted to be supporting the Canvas Digital Pioneers event in Birmingham; this is an FE focussed event looking to explore the topic of ‘Engaging 21st Century Learners’. Planet eStream is a fantastic student engagement tool for leading institutions and our team will be on hand to discuss and show all the features Planet eStream can offer. Planet eStream are looking forward to supporting the ICT conference 2018 at King Edward VI School, Southampton. The broad focus of the conference will be the practical use of technology in schools and Andrew Milburn of Planet eStream will be providing a workshop on the creation and use of digital signage with Planet eStream. Please note this is an invitation only event, run by King Edward VI School. Planet eStream are looking forward to exhibiting at the second Jisc Digital Festival in Birmingham. Our team will be on hand to demonstrate Planet eStream’s impressive feature set. Come and talk to any member of the team about features, applications, advice on implementation or migration from another platform. Find out more about Digifest 2018 here. We are looking forward to supporting the Bett Show once again this year marking our 17th consecutive year as an exhibitor and our 14th year showcasing Planet eStream! We are so proud of the way our product has evolved and developed over the years to what is now widely regarded as the leading Unified Video Platform for Education globally. We would be delighted to meet you at Bett and demonstrate how Planet eStream can form a central part of your core digital strategy and save you time and money and, most importantly, offer benefits and improve outcomes for your students, educators, learning resources staff and IT team. Drop by and see us on stand D110 at Bett 2018 where our team will be on hand to discuss your requirements and present Planet eStream in action. We are delighted to be supporting the Firefly Learning Roadshows in November 2017. 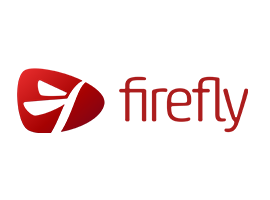 If you are planning on attending either of the events, our Planet eStream team will be on hand to demonstrate our platform and show you how you can unleash the power of video within Firefly using our dedicated Firefly plugin. Please note that these events require registration and are organised by Firefly - if you would like to attend one of these events, registration details can be found here. Please note this event is by invitation only and you should liaise with the organisers directly. Come and meet Andrew Milburn of Planet eStream and members of the Canvas FE community to learn how open technology makes a difference in teaching and learning. We will be providing a workshop on 'Video Integration and Live Capture'. This will be an exploration of how Planet eStream can be used to stream live content from a variety of sources including 360 degree video to your selected audience. We will cover how this is used for lecture capture, room observation, events and conferences in FE and HE. There will also be a focus on creating interactive videos – adding questions, annotations, embedded links to other learning resources and drawing tools to your timelines with the ability to examine user response and viewing behaviour to analyse engagement.